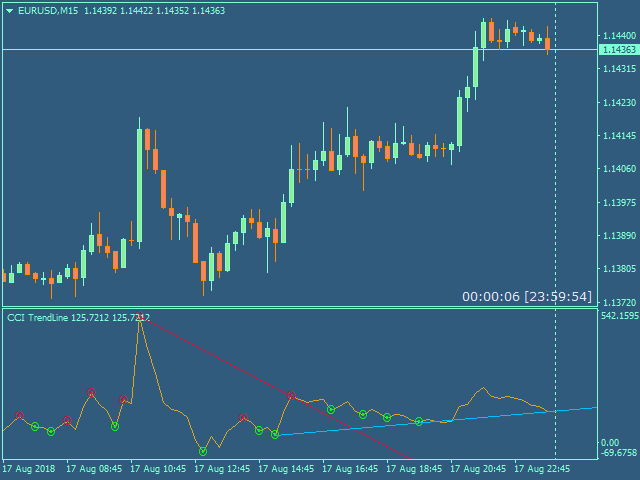 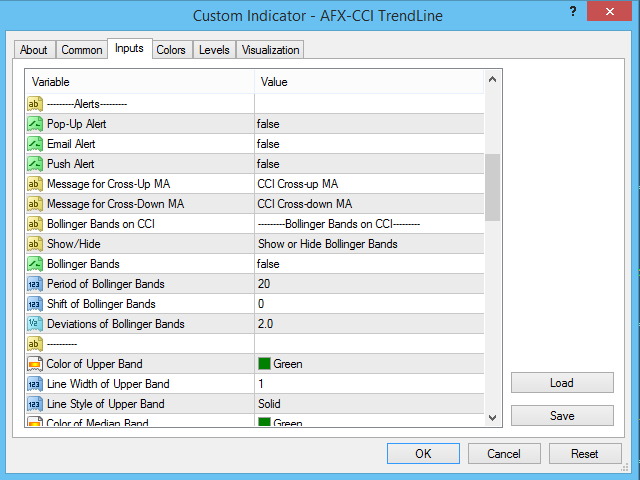 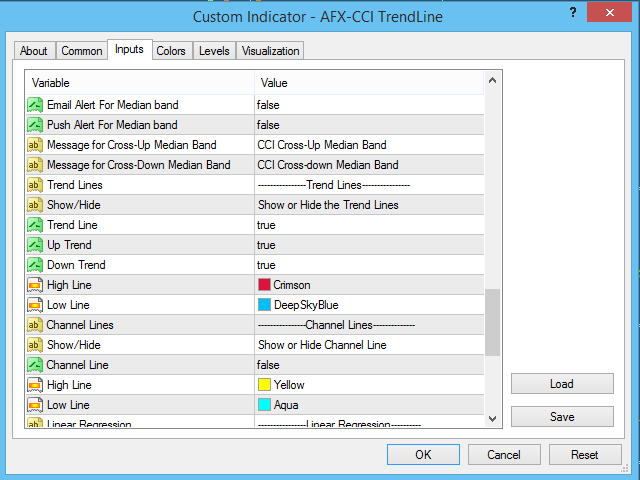 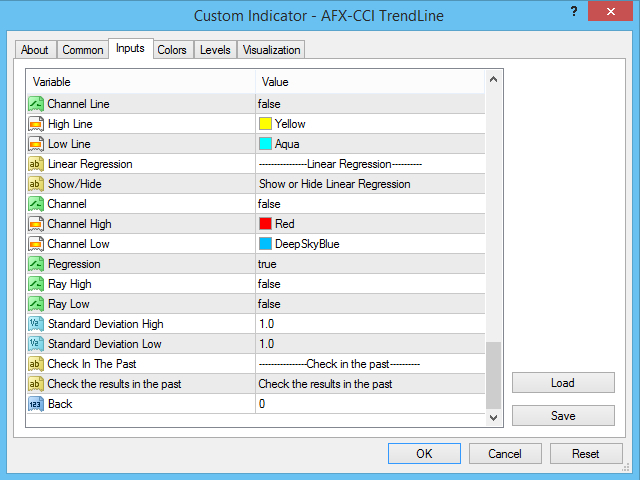 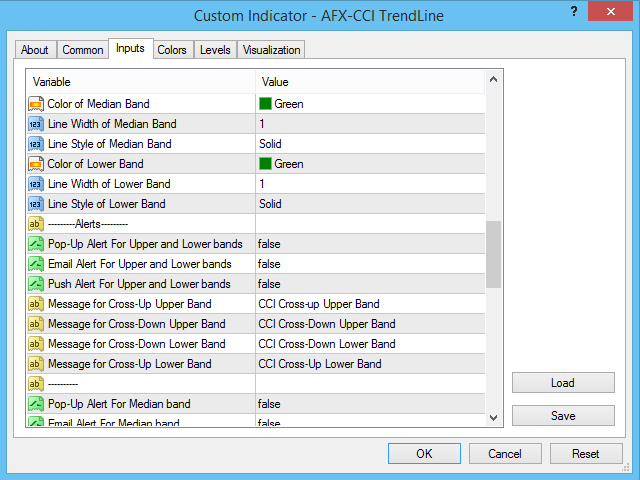 The "AFX CCI TrendLine" draws all trendlines automatically, on the CCI indicator with special features. 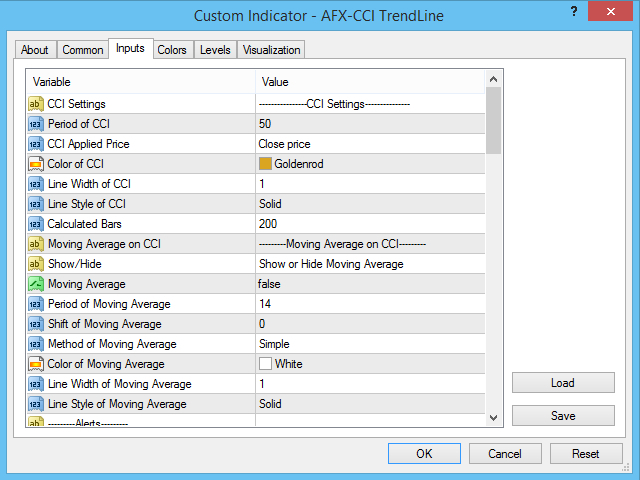 Back - If you keep it equal to 0, it will check current bar. 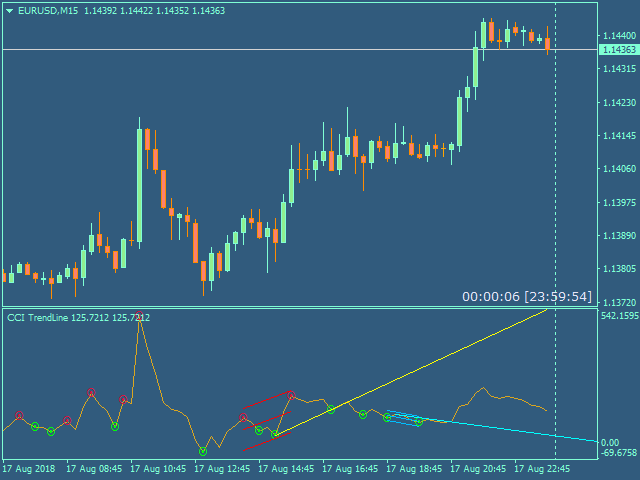 If you want to see if there was any trendline 5 bars back then you can set it to 5 and so on.